Wolf DF606CG Vs. DF606DG 60" Ranges, Really Worth The Price? You also want to know how Wolf configures these ranges and even what options you may have with these ranges. Finally, you may wonder whether these ranges fit your cooking requirements, your cooking skills and even your lifestyle. This article will look at two Wolf dual fuel 60 inch six burner ranges with different configurations. The DF606CG and the DF606DG each have six burners and the same two 30 inch ovens but have different rangetop features. These ranges have almost every feature Wolf manufactures and clearly demonstrate what Wolf quality looks like. 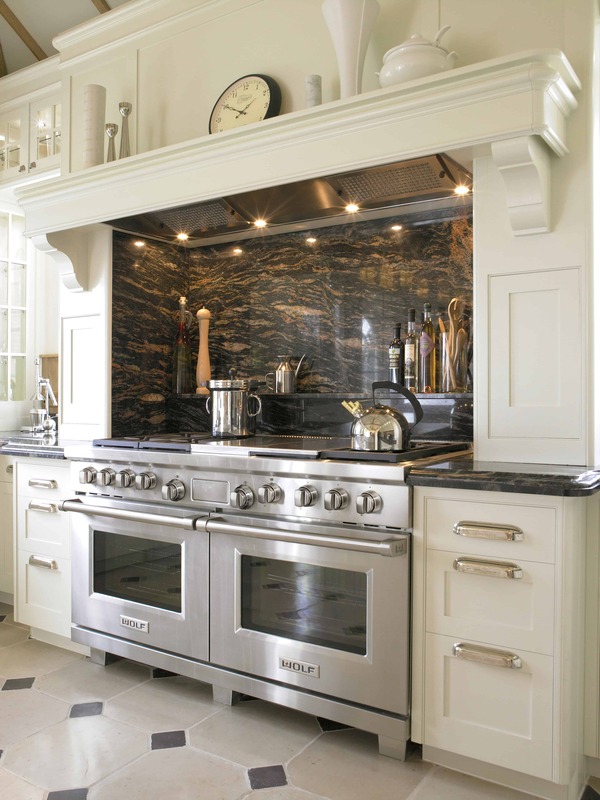 Both ranges are fueled by gas on the rangetop and electricity in the two equally sized ovens below. The ovens are “true convection”, self cleaning ovens with dual convection systems. The rangetops may also be configured for propane instead of natural gas. 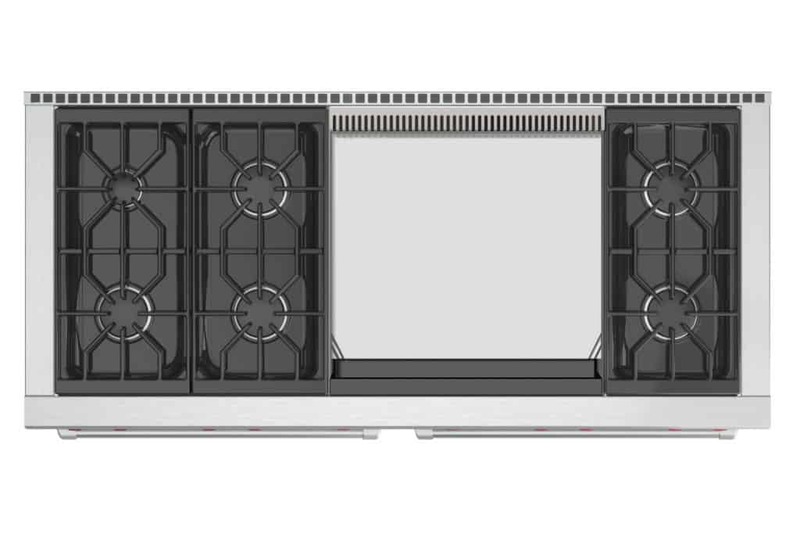 The DF606DG and DF606CG each have six burners on the rangetop, and the same two equally sized dual convection ovens. The difference between the two: the DF606DG has a double, 24 inch infrared griddle while the DF606CG has an infrared charbroiler and single infrared griddle. Let’s look at what’s makes Wolf one of the best brands in the world and a top tier pro range brand for decades. You can use the table of contents below to skip to anything specific or just read through. How Are The DF606CG And DF606DG Rangetops Configured? What’s On The DF606CG Rangetop? What’s On The DF606DG Rangetop? 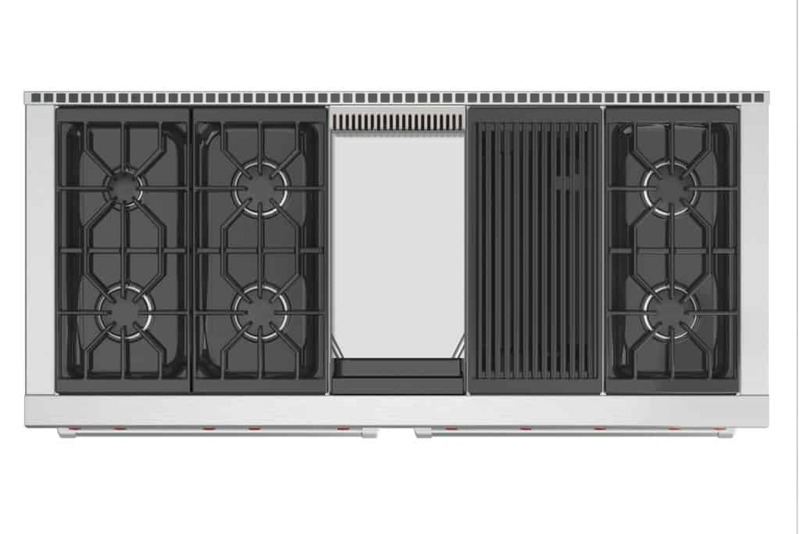 What Is A Dual Stacked Burner? What Is An Infrared Griddle? What Is The Infrared Charbroiler? What Doesn’t Wolf Tell You About The Ovens? What About The Control Panel And Temperature Probe? The Wolf brand has been focused on quality cooking ranges since it was founded in the 1930’s in Los Angeles. Wolf ranges are manufactured in Madison, Wisconsin to very high standards with heavy gauge stainless steel. The stainless steel is a combination of grade 304 chromium-nickel alloy and grade 201 chromium-nickel-manganese alloys. Additional information on Wolf and the Wolf-Subzero company can be found here. Wolf tests their ranges thoroughly under simulated heavy use to make sure these ranges last. How long do they design their ranges to last? At least 20 years. This is very important to consider when you’re thinking about buying a Wolf range. Given the very long time you’re likely to own it, you really have to think of this as an investment rather than a purchase. If you divide the cost of the range by the number of years you are likely to own it, Wolf ranges compare very favorably with competitors. The reason for this is because a lot of lower cost ranges built by other manufacturers are not built to the same standards as Wolf. They just won’t last as long, so you’re going to have to replace them more often. Many lower cost ranges might last five years, so consider that as an example: over 20 years you’ll have to buy four of these lower cost ranges and still only one Wolf, so factor that into your decision. If you like to multi-task, you will get a lot out of these 60 inch ranges, the largest size that Wolf makes (the next smaller range size is the 48-inch range). You will be able to maximize your rangetop area by cooking multiple dishes at the same time. 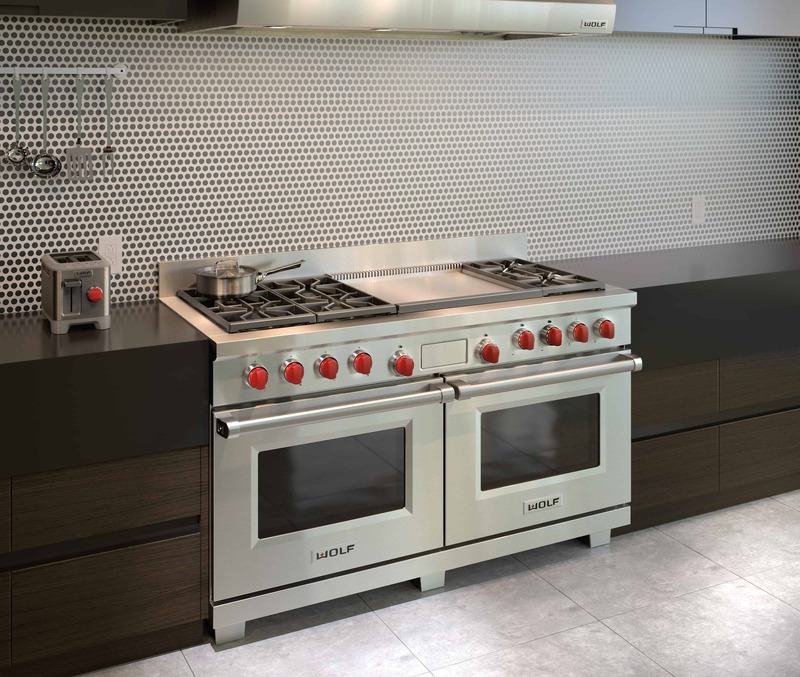 The DF606CG features six burners on the rangetop, an infrared griddle and an infrared charbroiler. Four of the burners are on the left side of the range with continuous cast iron grates that provide a seamless cooking area for moving hot cookware around the rangetop. Next to those four burners is a 15,000 BTU infrared griddle in the middle of the range. To the right of the griddle is a 16,000 BTU infrared charbroiler. The far right side of the range has the two remaining burners. The DF606DG is configured almost the same way as the 606CG, but in place of the infrared charbroiler is another griddle. It sits in the center and center right of the rangetop. It is basically one big 24 inch surface area powered by 30,000 BTUs of cooking power. You can cook directly on top of it, everything from steak to bacon or vegetables. You should think of the griddle as a large cooking area fueled by two burners and infrared, evenly distributed heat for each burner. So, you can cook with the same temperature, evenly across the whole griddle or, for instance, a low temperature on the left side of the griddle and a high temperature on the right. The dual griddle just adds to your cooking flexibility. You can even use it with appropriate cookware to cook indirectly like you do with a burner. (See it in operation here). The burners in both ranges are dual stacked and range in power from one 9,200 BTU burner. This 9,200 burner also includes a melt mode. The rangetop also has two 15,000 BTU burners, two 18,000 BTU burners and finally, a very powerful 20,000 BTU super burner. This 20,000 burner is a recent upgrade in power. So, the total cooking power on the rangetop in each of these ranges is 125,200 BTUs in the DF606CG. In the DF606DG, the total cooking power is 126,200 BTUs . The Wolf dual stacked burners refer to the high and low burner modes. These modes allow you to use two rings of gas jets in the high mode or one in the low mode. Either mode allows for a wide range of burners settings that can be very precisely controlled with Wolf’s iconic red knobs. Alternative knob colors (stainless steel and black) are also available. Wolf dual stacked burners have some of the best temperature control in the pro range cooking category. Wolf’s sustained simmer mode maintains an even temperature extremely well. Other brands produce simmers in their burners by turning off and on repeatedly. The Wolf infrared griddle, either single or dual, provides a solid cooking surface. 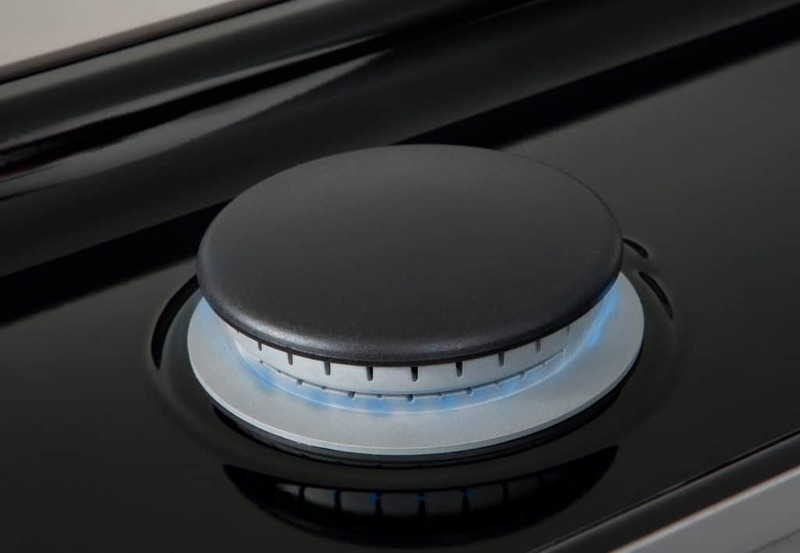 The burner, either single or dual, heats a radiant plate that then evenly directs that heat to the griddle surface. The griddle will allow you to cook anything you might cook in a pan or in other cookware. The cooking area is bigger than most pans, however, so the griddle maximizes that cooking area of the range. The single griddle in the DF606CG is 12 inches wide and is heated by a 15,000 BTU burner. 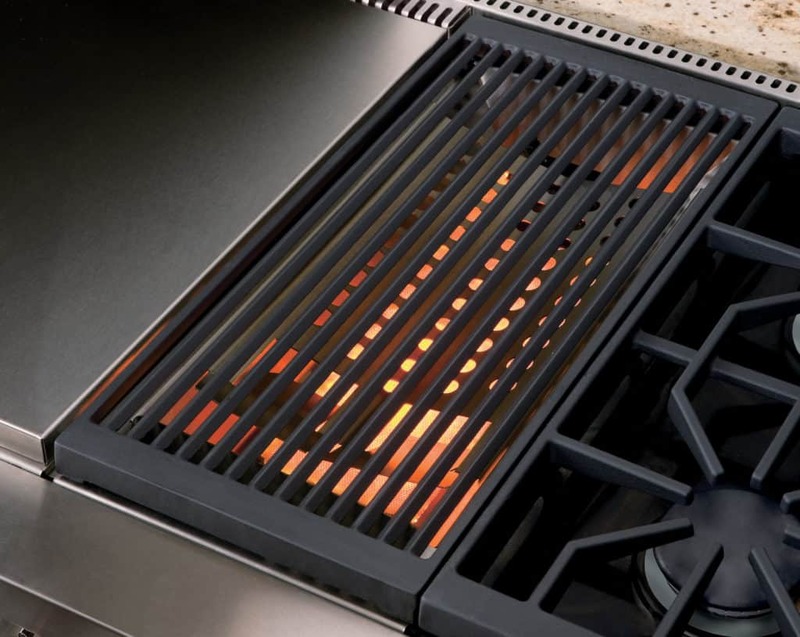 The dual griddle in the DF606DG is 24 inches wide and heated by 30,000 BTUs of cooking power. 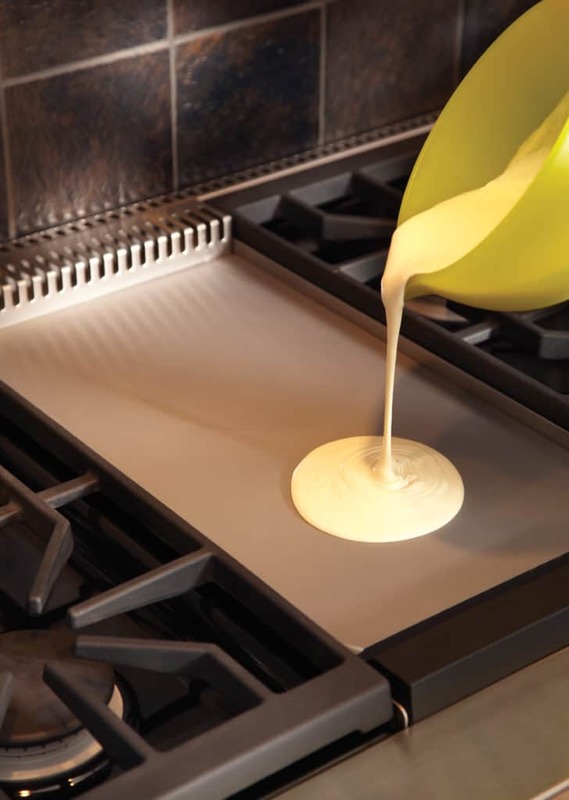 Each griddle features a reservoir in the front of the griddle for collecting cooking grease and residue for easy cleaning. The best thing about these griddles are their versatility. Even the single griddle is larger than most pans or other cookware and provide a continuous smooth cooking surface. This surface will give you tons of options for your daily cooking requirements. The infrared charbroiler in the DF606CG is basically an indoor barbeque grill. It is powered by a 16,000 BTU burner and radiant plate to focus infrared heat onto the grill. The charbroiler is designed to cook on the front part of the grill and warm on the back 7 inches of it. The charbroiler allows you to cook inside what you might want to cook outside on your barbeque. You’ll be able to barbeque inside in the winter, just make sure you have enough ventilation. Each oven has 2.8 cubic feet of usable interior oven space, and well over 4.5 cubic feet of total interior oven space (if you take out the racks and other components) and ten cooking modes. So, you can cook a turkey in one oven and four pies in the other at the same time without worrying about different flavors mixing together. If you need a third oven you might want to consider adding a Wolf Gourmet Countertop Oven to your kitchen counter. It has a lot of the same features as the Wolf 30 inch ovens. The countertop oven is reviewed in full detail here. The electric ovens in both the DF606CG and DF606DG are twin 30 inch “true” dual convection ovens. What makes the Wolf electric ovens “true” convection ovens is a heating element included in each convection fan. With this built-in element, heat is integrated into each convection system and directly circulated throughout the oven. Each oven also has dual convection, or two convection fans mounted side by side. They each have their own heating element built into each fan so that heat is evenly and consistently spread. So, in these ranges, you will be getting four convection fans and four heating elements in a total of 5.6 cubic feet of cooking area. Each of the electric ovens in each of these ranges features high powered heating elements that work together or separately depending on your choice of cooking mode. The broiler in each oven is an 8-pass heating element rated at 3,600 watts for searing temperatures delivered in multiple passes through the heating element. Each oven also features a dual heating element built into the floor each oven and hidden inside it to provide more interior oven space. The dual element has an inner element that is rated at 1,000 watts and an outer element rated at 1,200 watts. Wolf doesn’t publicize these power details for their electric ovens but they should. It’s good to know that your investment in a Wolf range will deliver what you expect in terms of heating power and these ovens do deliver. The control panel folds away completely into the range at your choice. You can completely hide it behind stainless steel if you don’t want to see it. 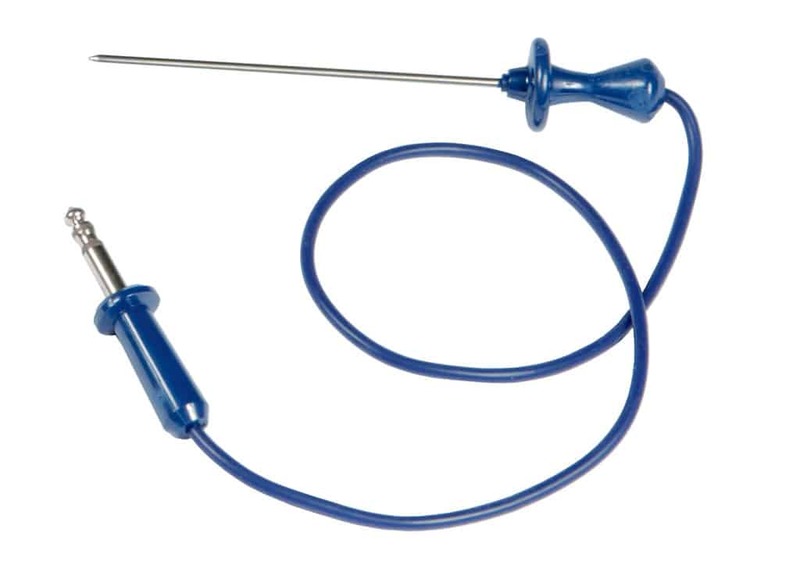 With the temperature probe, you insert it into the thickest part of whatever you’re cooking. This will let you know when its warm enough in the thickest part (and safe enough for some meat) to serve to you and your guests. The Wolf ovens in both the DF606CG and DF606DG feature ten cooking modes. Basic modes – Bake, Broil and Roast. Convection Modes – Convection, Convection Bake, Convection Broil and Convection Roast. Additional Modes – Bake Stone, Proof and Dehydrate. These modes use a combination of oven elements and temperatures for cooking a variety of foods, with oven temperature settings up to 550 degrees. Convection cooking basically shortens the time required to cook food by about 25%. Convection cooking is faster because heat is evenly spread around the oven by the dual convection fans. Bake stone mode requires a bake stone accessory for helping to cook food like pizza.The bakestone absorbs heat and transfers it directly to your pizza or bread crust to bake just like your favorite pizza place or bread store does. Proof mode sets the ideal oven temperatures for allowing bread with yeast to rise in your oven. This gives you more control over the proofing process than just leaving it to rise at room temperature. Dehydrate mode also requires additional rack accessories and is used to dry foods with excessive moisture like fruits. Dehydration provides life extension to fruits, vegetables and even meat by preserving them for much longer than they would last with moisture. This may save you lot of wasted food and money over time. Additionally, the Wolf dual fuel ranges include built in self cleaning. Self cleaning uses the highest oven settings for either three or four hours. The high temperature is designed to basically burn up any food residue in your oven. The DF606CG and DF606DF oven interiors include a bright blue porcelain coating to help them stand up to repeated cooking cycles. They also and have five rack positions in each oven. Remember that you won’t have to move your racks as much with your Wolf range as you might with other ranges. This is because the dual convection systems keep the oven air moving around your food so you don’t have to move your food around the oven. The ranges come with three oven racks. One of those racks in each oven slides all the way out to make it easier to get hot food out of your ovens. A broiler pan is also included in each oven and is important to use when broiling. This is because so much heat is applied to your food that you need a deep pan to capture grease and residue. Also, the DF606CF and DF606DF each weigh approximately 875 pounds, a measure of how solid these ranges are. Keep this weight in mind when moving, installing and in placing the range in your kitchen. Finally, you can see more information on the warranty in this comprehensive Wolf range product guide. The Wolf 60 inch ranges give you a lot of cooking power and options. The Wolf brand gives you even more, and that is the assurance of quality. With two equally sized dual convection ovens, each a “true convection” oven, you can do a lot and do it very effectively. The rangetop options in the DF606CG and DF606DG give you a great choice that really comes down to how you are going to use your range. Since each of these ranges has six burners, the only difference is a infrared charbroiler or a double griddle. The double griddle is a really big cooking surface. You can even use to cook indirectly with cookware on top of it. The charbroiler gives you a lot of your outside barbeque on to your rangetop. So, barbequeing inside or an almost commercial scale griddle for massive cooking options. Either way, the Wolf 60 inch dual fuel ranges are extremely powerful. Given how long you are likely to own them you should legitimately think of them as investments.